Rubenerd: #Anime New official Haruhi art! 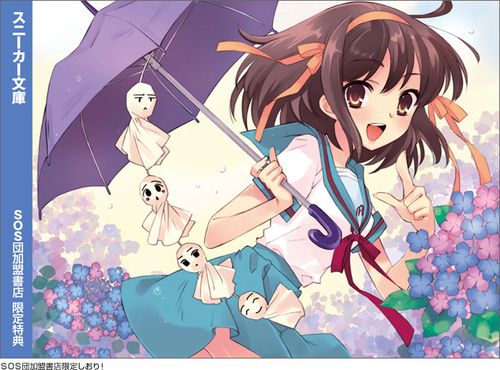 #Anime New official Haruhi art! Haven't seen this official art until recently, does it have to do with the upcoming forth volume perhaps? In any event, really gorgeous colours, even if Haruhi herself was ironically my least favourite character in the series ^^;. 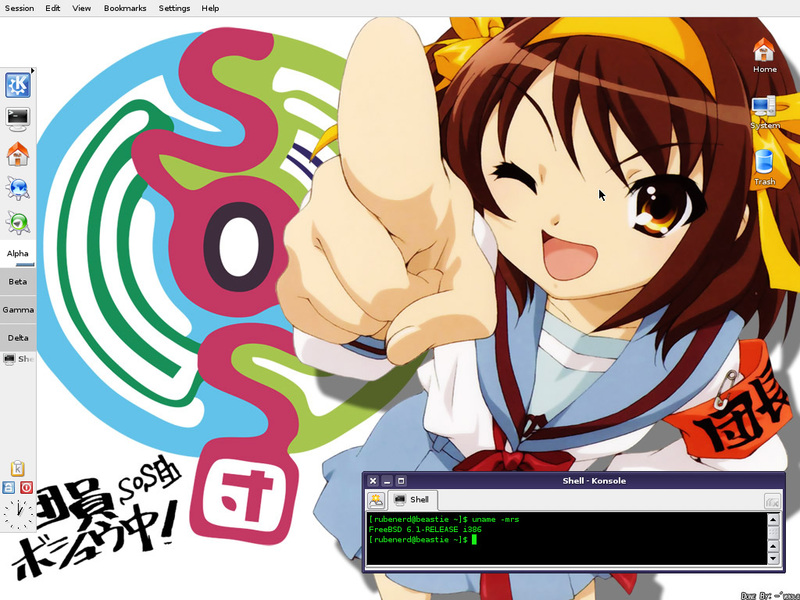 The first time Haruhi made a visual appearance on Rubenerd.com was in this screenshot of my FreeBSD 6.1 KDE 3.5 machine. Those were the days!